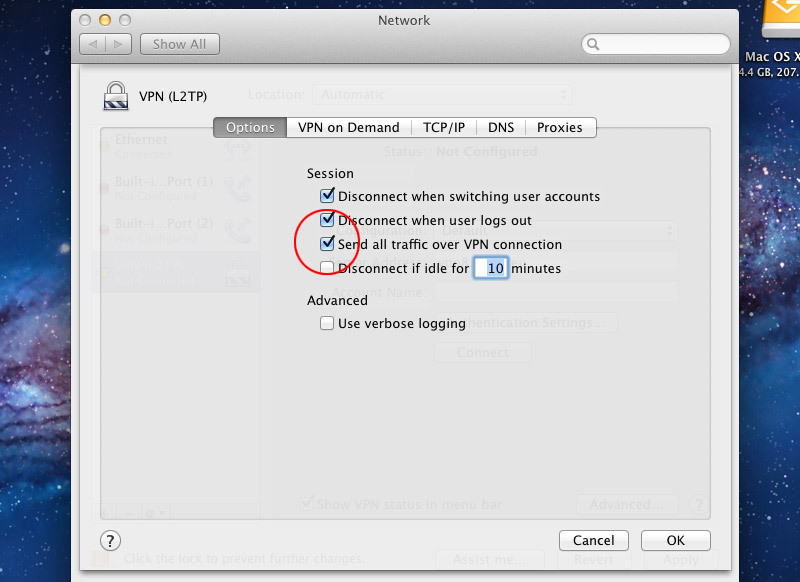 For the VPN Type select "L2TP over IPSec". 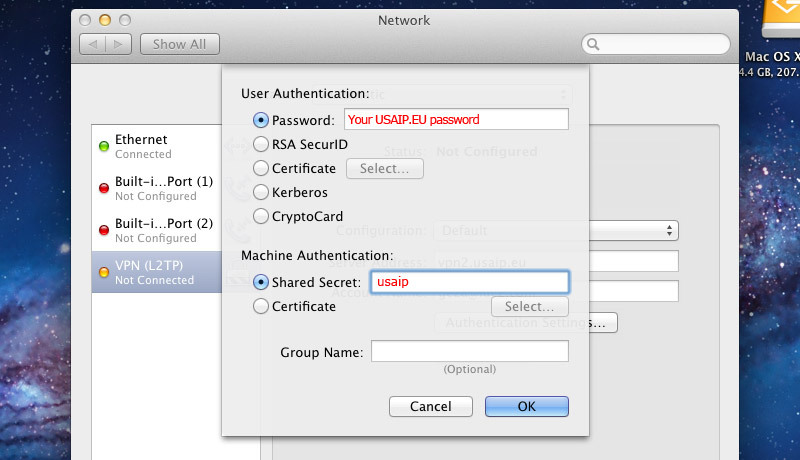 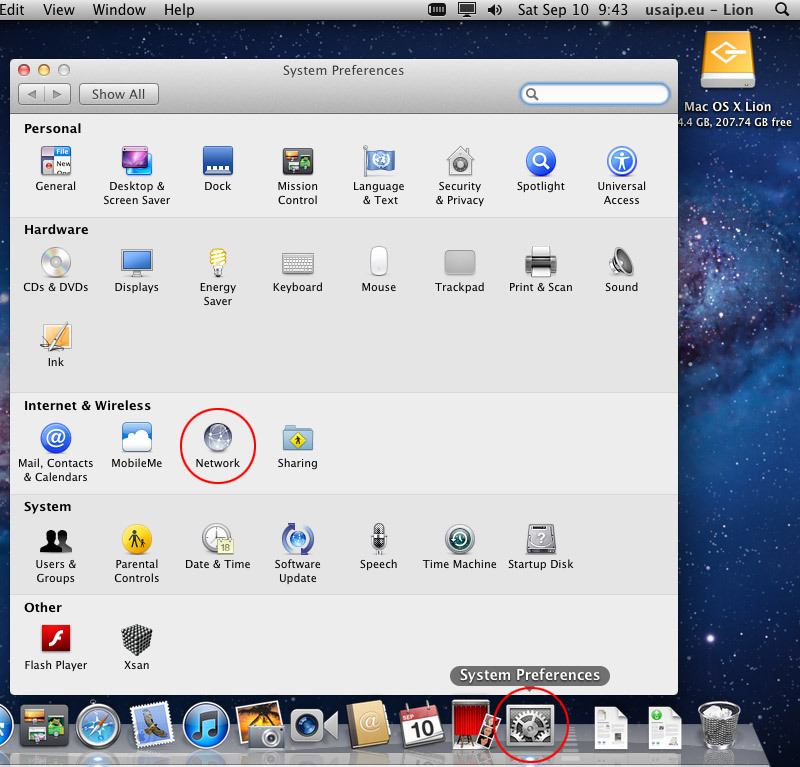 For the Service Name choose a name like "Usaip" and click Create. 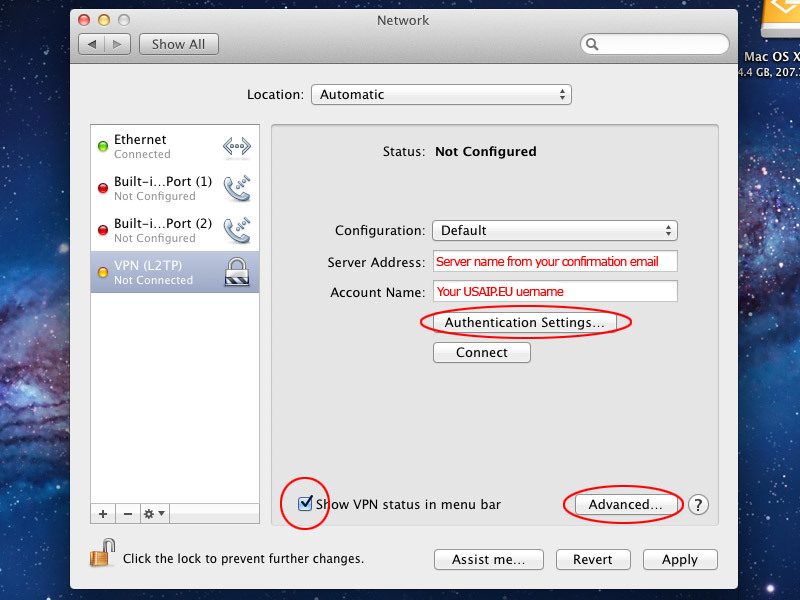 Please note that the Interface and VPN type cannot be adjusted later, so if you make a mistake, you will have to delete the connection and start over.